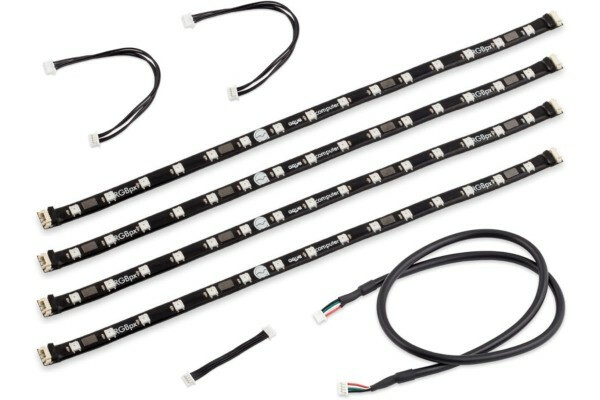 RGBpx lighting set containing four LED strips with 15 LEDs each, as well as compatible cables for installation inside a PC case. All four strips contained in this set can be connected in series and be controlled by a single RGBpx output. An Aqua Computer device with RGBpx output is required for operation (not included in delivery). For easy installation, four magnets are embedded into each strip. Additionally, the rear side of each strip is equipped with self adhesive coating.